Telephone companies were keen to promote the cards – because customers paid up front, and often didn’t use their full allocation of credit. (Although an urban myth about recharging the cards by leaving them in your freezer was widely circulated). Small, iconic and fairly durable, these callcards quickly became a collector’s item among schoolboys, philatelists and miscellaneous geeks – traded at market stalls. Phone companies quickly realised they could capitalise on this by selling advertising space on the cards, creating even more collectables in the process. Most payphones in the city were converted to accept callcards. 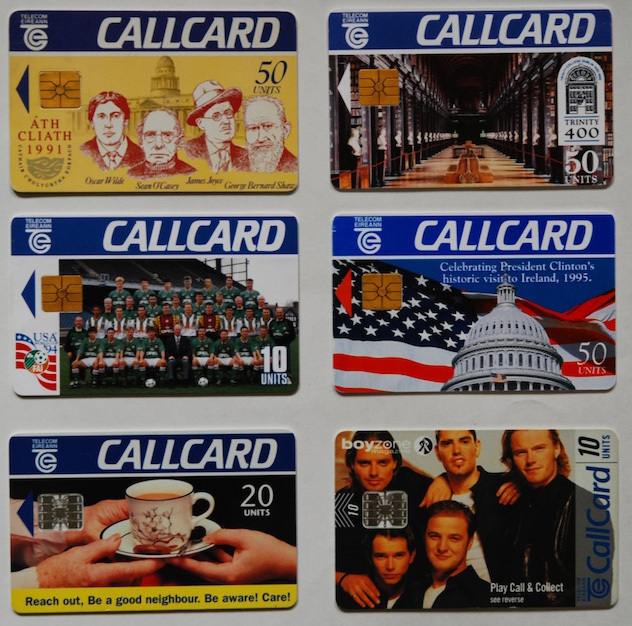 However, the rising ubiquity of mobile/cell phones soon ended the market for callcards.